How does a game of soccer start? With a whistle blast naturally. Then how is half time in a game of soccer signaled? Then the next half is started with a whistle and the finish of the game is signaled with a whistle blast. There’s many other sports that have clearly defined starts and stops. But golf, not so much. Naturally you have your turn each hole. But there’s no clearly defined start to that, you just know it’s your turn to hit so you do. 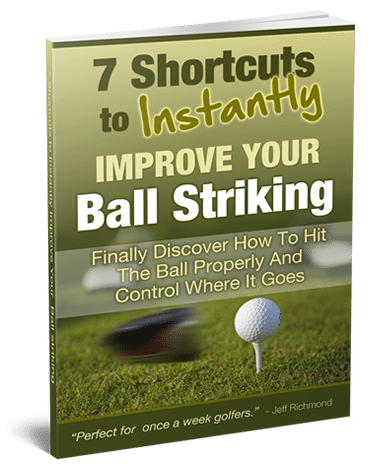 Now as you know, you should play golf one shot at a time. And a great way to do that is to do something that clearly signals the start of a golf shot and then clearly signals the end of a golf shot. I’m not going to give you one way to do that, but here are some examples. You can actually use the words “start” to mark the start point of your golf shot and then say “finish” at the end of the shot. So that’s a word cue. You can use a touch cue like tugging on your right ear lobe, for example, to signal the start of a golf shot. Then you can take off your glove to end the shot. Something else you can do is to use an audible cue like ripping the Velcro on your glove and readjusting your glove to start the shot and then ripping the Velcro of your glove after the shot. 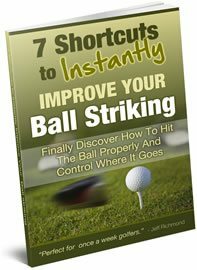 You could have a touch cue like hitching up your pants or tugging on your ear lobe to start the swing and then to finish your shot you take off your glove. The point is, you need something to clearly signal the start of each shot and something to signal the end of each shot. When you do that you will then be able to have the best chance of playing one shot at a time.